New Jersey is located in the Northeastern region of the United States of America. It is bordered on the north by New York, on the east by the Hudson River and the Atlantic Ocean, on the southwest by Delaware, and on the west by Pennsylvania. The total area is 8,729 square miles (22,608 km²) and in 2008 the state had an estimated population of 8,682,661. In 2001 the religious affiliation of the population of New Jersey was distributed as follows: Catholic 37%; Baptist 8%; Methodist 6%; Christian (no denomination stated) 4%; Jewish 2%; Presbyterian 4%; Lutheran 3%; Episcopalian/Anglican 2%; Protestant 2%; Jehovah's Witness 1%; Mormon/LDS 1%; Muslim/Islamic 1/%; Non-denominational 1%; Pentecostal 1%; Other 4%; None 15%; Refused to identify 5%. The modern Mennonite presence in New Jersey began with a church planting venture led by Henry and Ida Swartley at Oxford in Warren County in 1956. In 1988 there were nine Mennonite congregations in the state affiliated with four different conferences as follows: Atlantic Coast Conference (MC), 1 congregation, 46 members; Franconia Mennonite Conference (MC), 2, 105; Lancaster Mennonite Conference (MC), 5, 300; Eastern Pennsylvania Mennonite Church, 1, 30. The Puerto de Sion congregation in Trenton participated in Concilio Nacional de Iglesias Menonitas Hispañas. Friendship Mennonite Chapel at Carneys Point was affiliated with the Afro-American Mennonite Association. Lancaster Mennonite Conference had three church planting centers at Atlantic City, Camden, and Mizpah. The Vineland Mennonite congregation sponsored an elementary school with 21 students (1988). ARDA: Association of Religion Data Archives. "State Membership Report: New Jersey, Religious Traditions, 2010." Web. 13 December 2013. http://www.thearda.com/rcms2010/r/s/34/rcms2010_34_state_name_2010.asp. Horsch, James E., ed. Mennonite Yearbook and Directory. Scottdale, PA: Mennonite Publishing House (1988-89): 30, 60-70, 105, 122, 173. Wikipedia. "New Jersey." 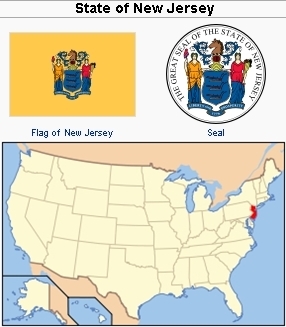 http://en.wikipedia.org/wiki/New_Jersey (accessed 19 March 2009). Sawatzky, Reynold and Richard D. Thiessen. "New Jersey (USA)." Global Anabaptist Mennonite Encyclopedia Online. December 2013. Web. 21 Apr 2019. http://gameo.org/index.php?title=New_Jersey_(USA)&oldid=114434. Sawatzky, Reynold and Richard D. Thiessen. (December 2013). New Jersey (USA). Global Anabaptist Mennonite Encyclopedia Online. Retrieved 21 April 2019, from http://gameo.org/index.php?title=New_Jersey_(USA)&oldid=114434. Adapted by permission of Herald Press, Harrisonburg, Virginia, from Mennonite Encyclopedia, Vol. 5, p. 625. All rights reserved. This page was last modified on 28 February 2014, at 08:30.